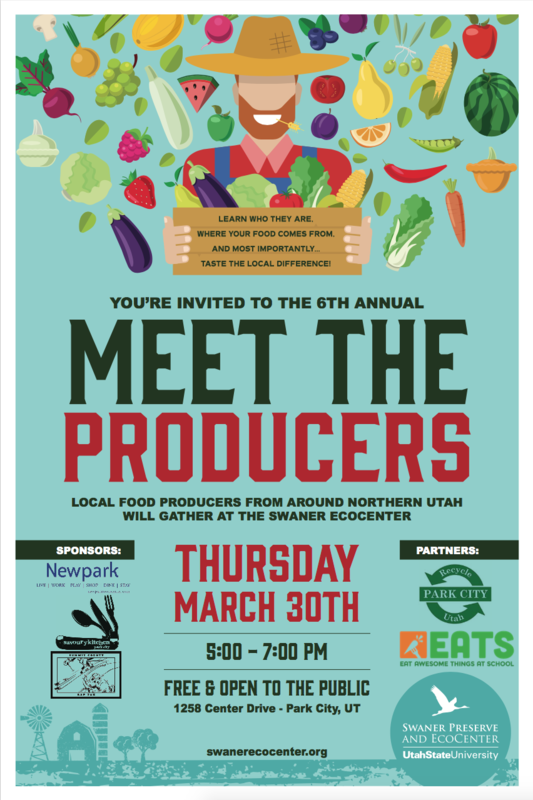 Please join us for the 6th annual Meet the Producers event March 30th! This year Recycle Utah and EATS Park City are partnering to bring you even more local, sustainable and delicious goods. Farmers, ranchers and a variety of food producers from around the Wasatch will be on hand to share samples and discuss their operations. Come and see what makes the local difference! This event is free and open to the public. Click here for more information.